For over 25 years, DWM has been setting standards in the wine industry, from WEINmesse berlin to the International Wine Trophies, all over the world. We specialise in organizing and hosting internationally esteemed wine competitions. With WEINmesse berlin, DWM has its own “house show”. With more than 30,000 visitors annually, it has grown to the largest end-consumer fair of its kind. In addition, we bring innovative trade shows to life – at home in Berlin but also throughout Europe and Asia. Within the context of Berlin Wine Show (WEINmesse berlin), the tasting was initially installed as a kind of audience prize. Supervised by the Berlin Wine Authority with a jury made up of wine experts and consumers. This audience award has been developed as the supporting program of the Berlin Wine Show and as a selling aid for the wine show presentors. These then submitted 180 wines during the first tasting. One year later, the jury was made up of designated wine experts only, starting form the second time on and was named “Berlin Jury Prize”. Renaming of the Berlin Jury Prize to Berliner Wine Trophy. By this time, more than 400 wines were submitted by the presentors alone. 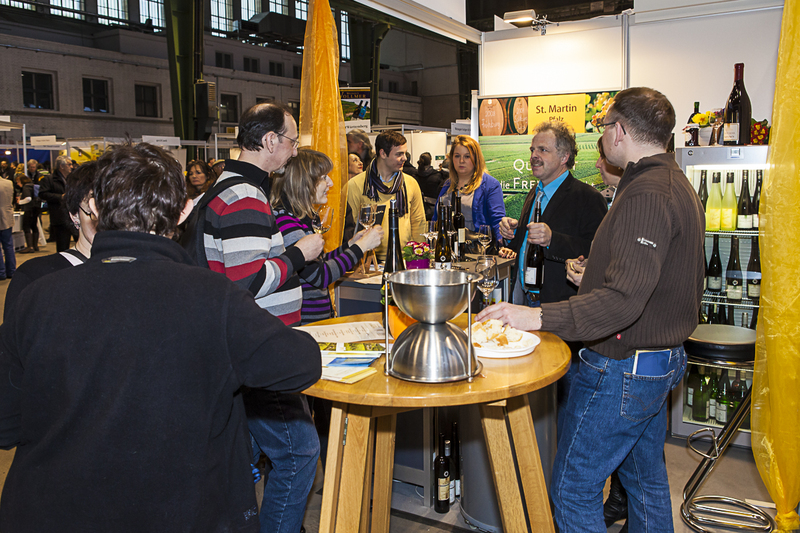 The potential of the awarded prize as an argumentation aid became apparent to the visitors of the Berlin Wine Show. During this first monitoring, the professional work was recognised and the Berlin Wine Trophy suggested for patronage. Application of the Berlin Senate was sent to the Federation in order to change viticultural legal provisions. Submission to the Federal Council as this is equivalent to a legislation amendment. One year later, in 2004, Berlin Wine Trophy obtained its first OIV patronage. There were a total of 14 world-wide events at that time which had received this patronage. Since the Berlin Wine Trophy could not be given the senate’s approval due to the legal situation, the prize-winning wines could not be labelled with a medal on the bottles. The total number of wines submitted increased to 5,300. Due to the new OIV regulations, it is possible to award prizes to individual categories. This means that the Berlin Wine Trophy could take place on two different dates. 3,900 wines were submitted by the due date in February. This is again an exceptional increase. On the second date, the Summer Trophy, which took place for the first time in 2010, 1,400 wines were submitted. This means that the total number of tasted samples rose to 5,300. The Berlin Wine Trophy became therefore one of the largest and most important wine tastings in the world. The quality and reputation of the Berlin Wine Trophy led to a negotiation with officials from the city of Daejeon. Daejeon, one of South Korea’s largest cities and former Expo city, is hosting the Food & Wine Festival for the first time this year. The Berlin Wine Trophy is invited to present award-winning wines to the interested public in Daejeon. 300 award-winning wines are presented by participants of the Berliner Wine Trophy in Daejeon and 18 companies are personally there at the Food & Wine Festival. The genuine organization of the Food & Wine Festival is the reason why over 200,000 visitors were counted on 3 days. The same occurs in Portugal, with plans to organize a new Trophy. After a plenary session, OIV’s Executive Committee awarded patronage for the Daejeon Wine Trophy (Asia Wine Trophy) and the Portugal Wine Trophy. The DWM is thus host of three international tastings under the patronage of the OIV. In 2018, all DWM Wine Trophies totaled 18,000 entries. Each of our wine tastings (Berliner, Portugal, and Asia Wine Trophy) is the largest in its respective country. We hope our customers continue to deposit their confidence in us, so we will continue to put our experience at their service.